This 1 bedroom apartment is located in Torri del Benaco and sleeps 4 people. It has WiFi and air conditioning. Apartment, 2 - 4 people, 2 room/s, 1 bedroom/s, 1 bathroom/s, approximately 35 m², 1 floor/s, apartment on floor 2. Feature: Property in a residence (max 2 floor(s), 8 units in total). Air conditioning if required, € 10/​day. Holiday resort tax. Linen/towels available. Change of bed linen/​towels every 7 days included. Deposit € 100 (in cash). Cot € 5 per day (on request). High chair free of charge (on request). Pet € 7 per day (on request). Estate (shared use with holiday guests): closed plot (electric entrance gate), well-kept, gravel. Outdoor facilities(shared use): furnishing provided, pavilion. The apartment is described as good value for money. 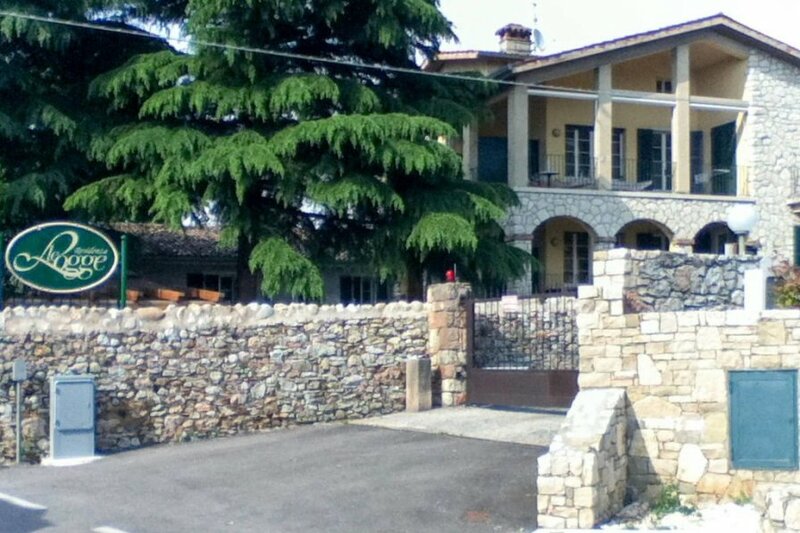 This apartment is located in Torri del Benaco. It is set in a very convenient location, just 0 metres away from a beach and only 600 metres away from the city center. The apartment has free wireless internet. The apartment is adequately equipped: it has air conditioning.